Creation of a web application with an intuitive, responsive user interface for intelligent building systems and developing a voice communication module that allows for the controlling of a house by disabled people. In 2011, the Cluster began a project with the aim of developing a new technology for constructing an autonomous system with unique and smart controls. The primary problem, which was a cornerstone of the system, was a need to monitor the parameters of the created technology, to collect data for further analysis and to create intelligent building systems friendly for people with disabilities. 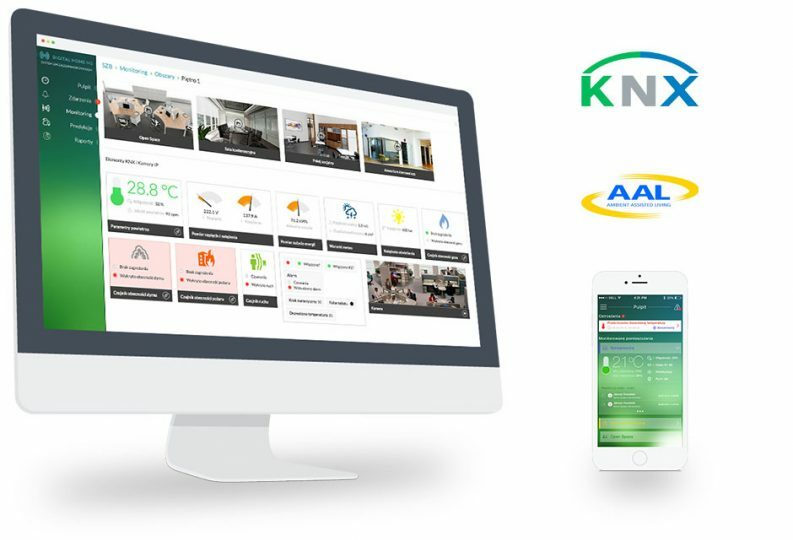 The outcome of the project is a secure, web-based and smart building management system that allows you to monitor the current state and automatically control the building in the KNX standard. The system is equipped with, among other things, an automatic conditional-control mechanism that activates the desired action sequences in specific situations. A distinguishing element of the application is also the algorithms used for speech analysis and an interface to read voice messages, thus allowing people with disabilities to have voice-control of the building. The prepared system with technology for building autonomous houses allows the client to launch their own product. The solution will also be installed in demonstration buildings equipped with modern appliances using KNX building automation.